The statistic presents data on the intention to watch the Super Bowl among Canadian adults from 2009 to 2014. 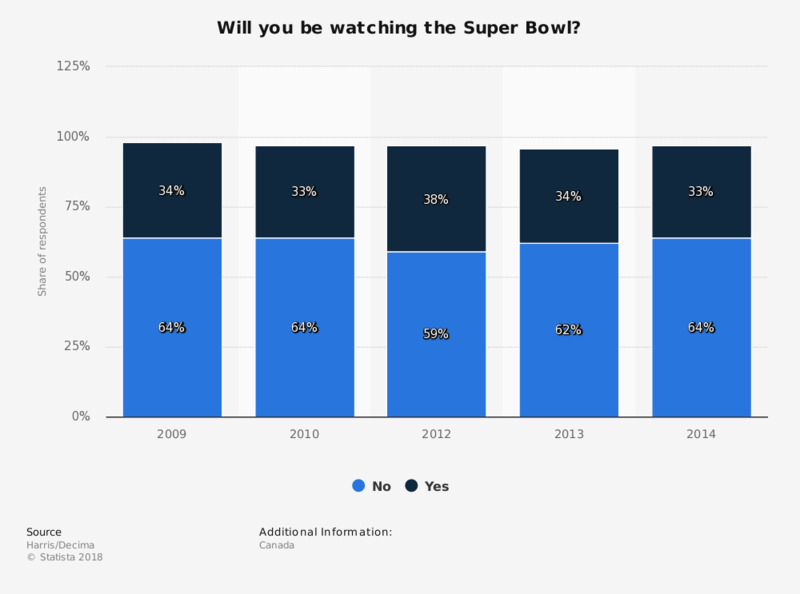 During a survey, 34 percent of respondents stated they would be watching the 2013 Super Bowl. The timeline does not provide survey information for the period 2009 to 2013. No data for 2011 provided.